i think i mentioned before that TW560 likes vienna and travels with me there at least once a quarter. last year’s WAVE india prologue for TW560 was a trip to vienna en route to bremerhafen. myself, i travel to vienna at least every two weeks for some days on business. i usually fly and get around the city being driven by one of my employees or in a taxi. 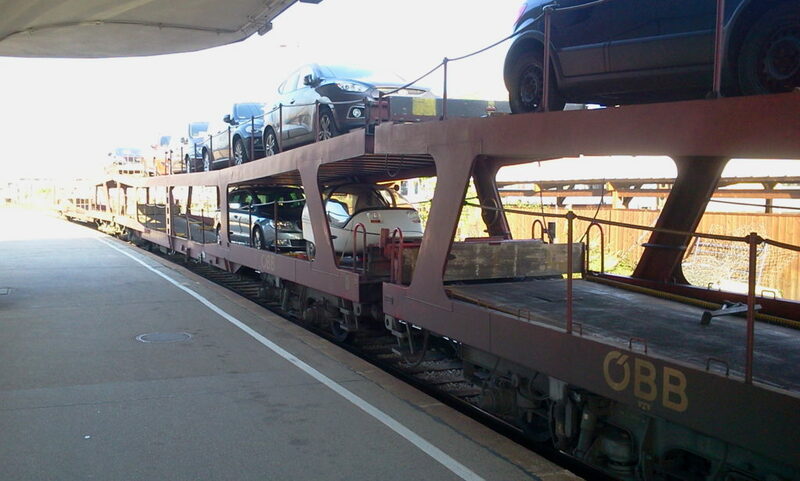 this kind of mobility is not very practical nor cheap when it comes to spending some free minutes exploring the city and the places around it – such as bratislava or the famous neusiedler lake. 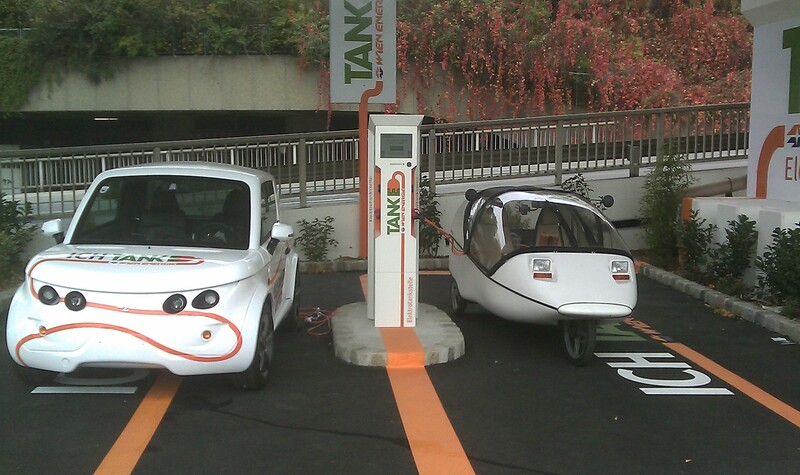 besides giving me freedom of movement, the TWIKE is a very cool networking tool. since this kind of vehicle is completely unknown around vienna, picking up a business associate or potential customer with a TWIKE will guarantee a memorable experience. leather seats, shower, full-size bed, breakfast served - a hotel on rails! 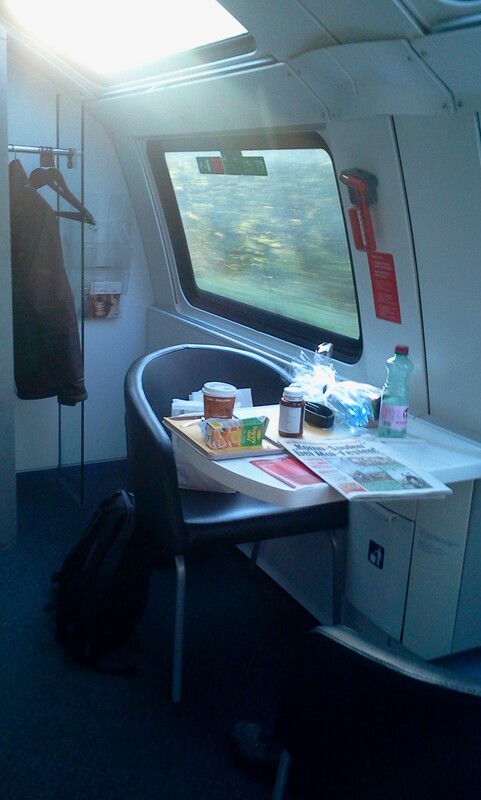 departure 22:42 feldkirch – sleep – arrival 07:30 vienna > perfect for first meetings around 08:30 anywhere in the city. 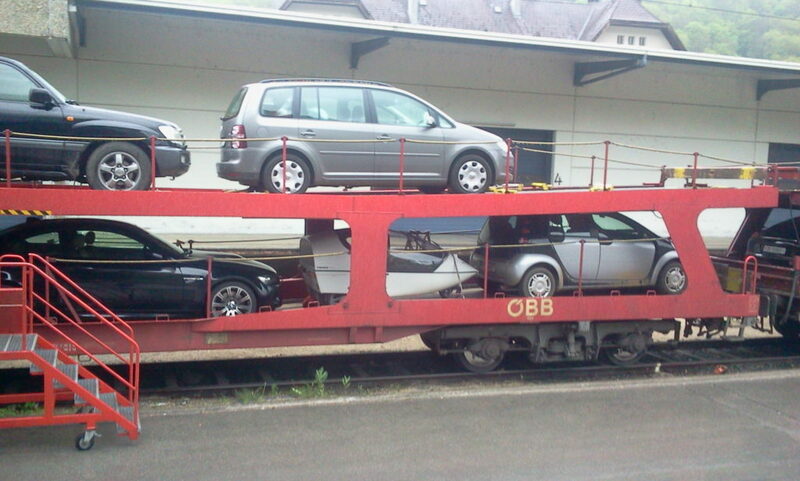 this time i take the train may 1, after spending some days with my family in the swiss alps. vienna awaits me with very warm weather (30°C) and many meetings across the city – the visits themselves are rather uneventful. new charging station just in front of where i have my meeting! 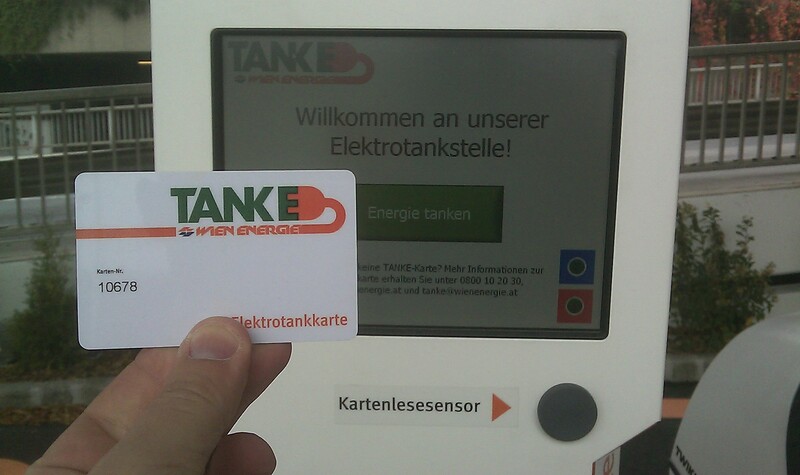 … and use the TANKe system for which i have a RFID card. 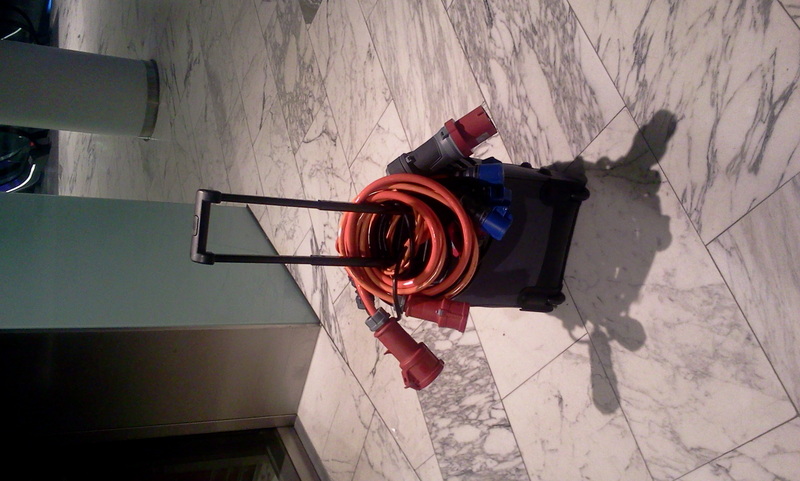 crisscrossing the city – i’ve never had any problems using free plugs in parking garages nor due to creative parking. i especially like the handyparken system in vienna – an app with which parking can be paid and prolonged. this system is available for many austrian cities and even works with non-austrian number plates! 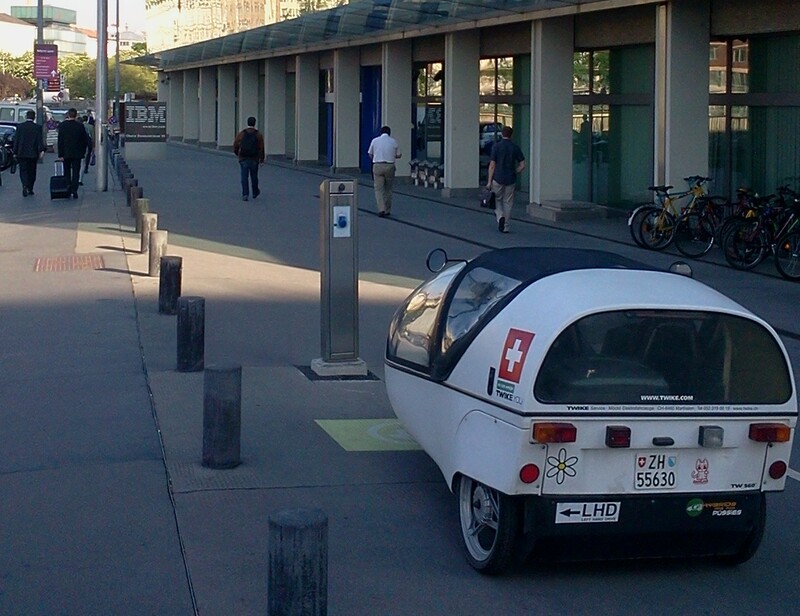 after 3 days, it’s time to return to switzerland – and my first negative experience in vienna regarding the TWIKE. 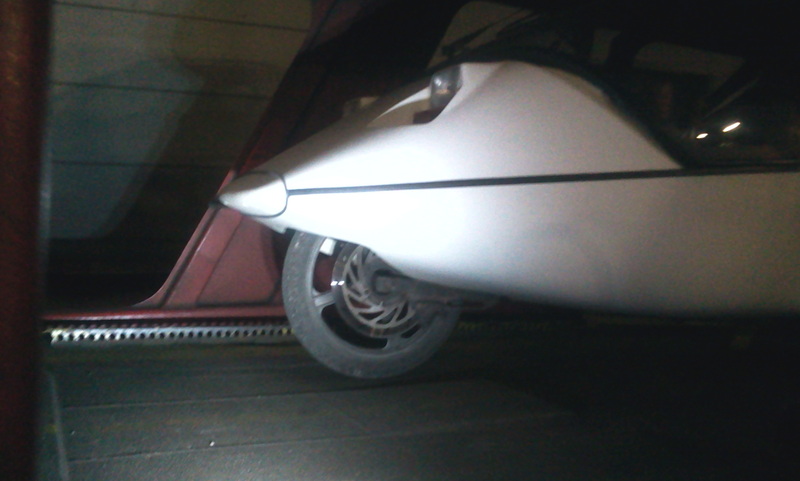 someone broke into the TWIKE by forcing open the locking cylinder and stole 2 very old swiss adapter cables. 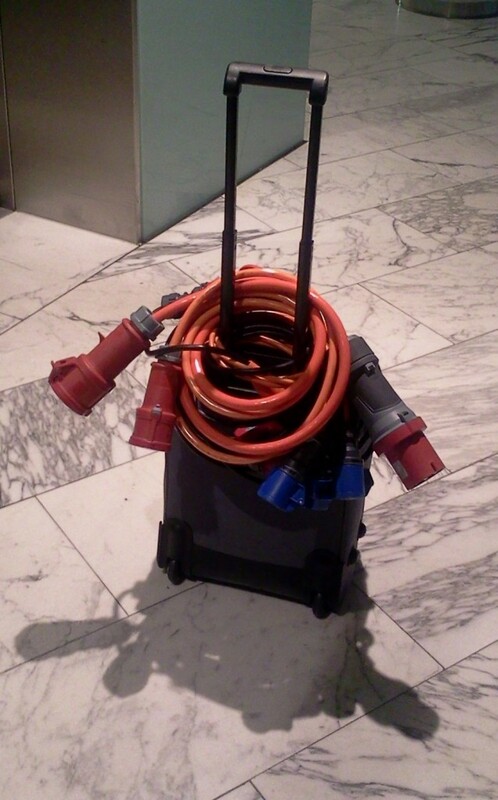 i can not fathom why this kind of extremely scruffy and used cable / connector set would be of any interest to anyone! luckily, i had taken the expensive high-throughput connector cables with me to my office and the thieves didn’t show any interest for the little grubby gray box containing my digital multimeter and other essential items when travelling with the TWIKE! otherwise the procedure was uneventful and arriving back in feldkirch saturday morning i made my way back to 1100m altitude to meet my family, charge, and then, later on, drive back home with one of my kids.